MP3s of the title tracks will be available for purchase soon. 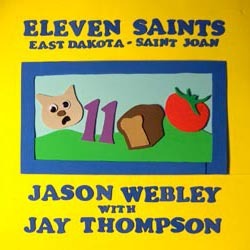 See the "Eleven Saints" music video. This video was shot by Jason with some help from his friends in just 2 days using paper cut outs and stop-motion animation.